NEW MAYORS HAVE been elected in Dublin, Limerick and Galway. In Dublin, Fine Gael’s Naoise Ó Múirí was elected as Lord Mayor, taking over from Mayor Andrew Montague. 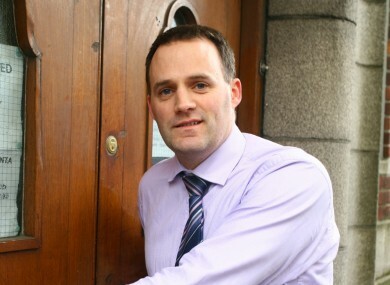 Ó Múirí is a Gaelgeoir who runs an Irish-owned technology company. He was first elected to Dublin City Council in 2004. Fine Gael Councillor Clare Byrne was elected Deputy Lord Mayor. She has represented the South West Inner City Ward since her co-option to the City Council in 2007 and following her election in 2009. In his speech, the new Lord Mayor of Dublin said his priorities in the coming year include laying the foundation blocks for Dublin to become a “truly leading city in all things digital for young and old”; putting “the right structures in place now to ensure that Dublin is well-promoted at home and abroad”; inviting all the Mayors of Dublin to Dublin for the Gathering 2013; and building better civic links with London. But most of all as my third priority I want to be seen as a “happy warrior” for the city, doing as much as I can in practical terms to try and make our city a happy home for all; a great community in which to live and to raise a family; a city welcoming of everybody irrespective of colour or creed. RTÉ reports that in Galway, independent Councillor Terry O’Flaherty has been elected, taking over from Mayor Hildegarde Naughton. The move is under a pact agreed by Fianna Fáil, Fine Gael and independent councillors, the Galway Independent reports. This is the second time Cllr Flaherty will hold the position of Mayor of Galway, having also acted in the role in 2003. Meanwhile, the former Ireland rugby international and Labour councillor, Gerry McLoughlin, was elected as Mayor of Limerick. Cllr McLoughlin, a teacher, joined the Labour party in 2006 after first being elected as an Independent councillor in 2004. In Waterford, Cllr Jim D’Arcy was named the new mayor. He was elected to Waterford City Council in 2004 and is a member of the Fine Gael party. Earlier today, Andrew Montague, the 342nd Lord Mayor of Dublin, took part in a traditional ceremony to mark the end of his time in office. He performed the five centuries old tradition of ‘Casting the Spear’ at Dublin Port, which dates back to 1488 when the then Lord Mayor Thomas Maylor cast a spear to mark the city’s boundary. Email “New mayors of Dublin, Galway, Waterford and Limerick elected ”. Feedback on “New mayors of Dublin, Galway, Waterford and Limerick elected ”.